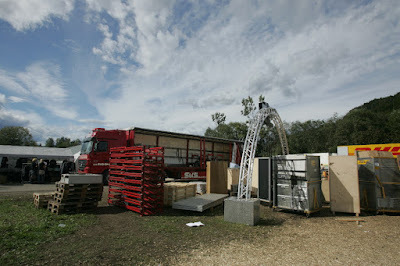 Custombike & Motorcycle transport with passion! year – and the business has expanded beyond the wildest expectations, thanks to a motivated and very flexible team that today handles so much more than just the shipment of exclusive motorcycles! In 1995 motorcycles were treated as a shipping good like any other: It was up to SKS to speed up and change the way motorcycles are moved forever. The often copied crates to store and and staple were built in ever greater numbers, but the clients keep on coming, asking for more! 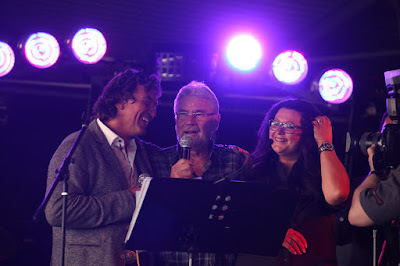 Now that their kids, Kim and Kevin, have grown up, they take over responsibilty for the business which has diversified into different branches: SKS ships the Harley-Davidson's to and from the authorised dealers, already unpacked and assembled, ready for the showroom to be sold. 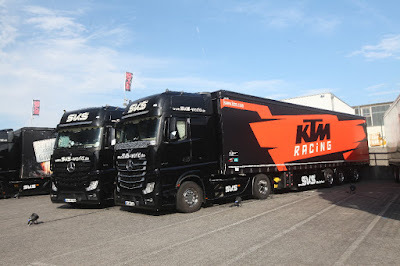 The press bikes for HD Germany are now maintained and serviced in Mogendorf and trucks with "Triumph" and "KTM Racing" signal some of the other brands that are shipped by SKS. 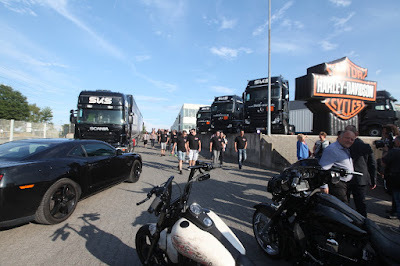 SKS Trucks are present when Harley-Davidson Demo Rides are "on the road" for the big events and the SKS- Team is prepared to run them too. The services also can include complete Logistic solutions: If you see the Harley-Truck at Verona, the team has shipped and set up the Custom Chrome Europe booth, or the tent at outdoor events such as Faak. No surprise to see CCE's Managing Director Andreas Scholz among the guests. 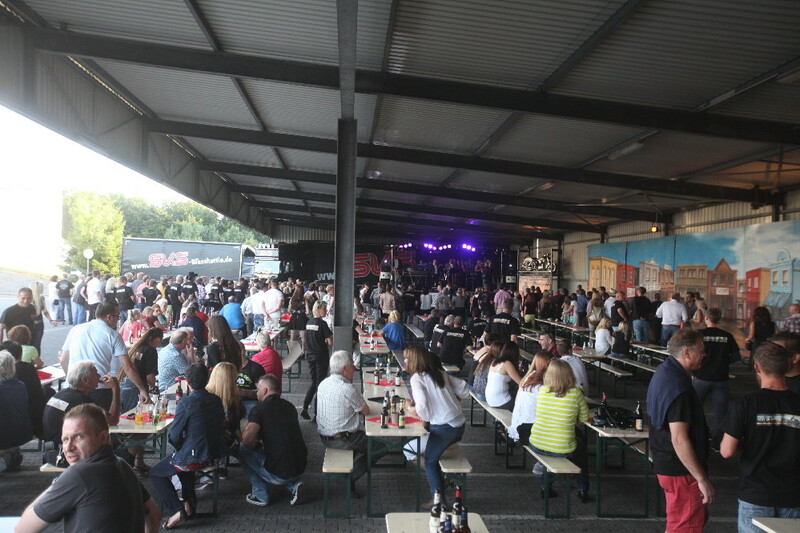 European Bike Week in many ways sparked off the business of "SKS Reisen" (SKS Travel), which is expanding rapidly, currently getting more international. 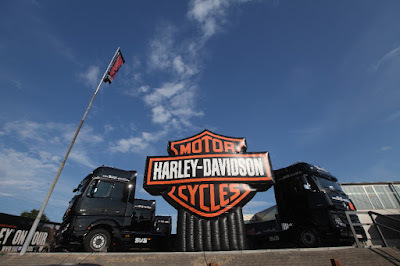 Faak has always been the biggest "Logistic Enterprise" for SKS, since German Dealers, HD Germany and numerous private Harley riders have their bikes shipped directly into Austria, while arriving by car, due to the occassinally rainy weather in September. About every bigger European meet, in particular HOG-Rallys and the big Anniversary Shows, are frequented by SKS, clients worldwide now having their bikes shipped directly to the Rallys, while flying in. 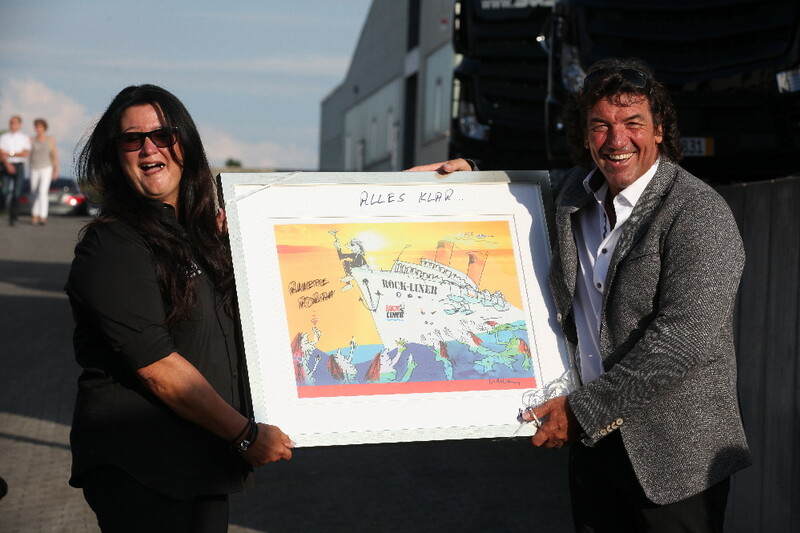 But since Anette and Adrian – as well as their kids – love to ride, they soon opened up a new market: The "all inklusive" Harley Touring event! In 2015, Mallorca Bike Week will run into its 10th year, extending the late season for North Europe riders into November. The "El Toro Run" starts early in April and there is another event at Sardengna, which is the perfect riding ground for Harley-Davidson riders! Daughter Kim is managing the travel agency www.sks-reisen.de which ships the riders own bikes straight to where they climb out of the plane or outside the Hotel. Several Harley-dealers use these tours to test bikes or hand over high class customs. The SKS family-customs are usually customized by Rick's Motorcycles, who has one of the truck covers "branded" with his name. Time permitting, they occassionally tour together extensively, as for Rick's highly published "Route Napolen Tour" to southern France. Only two years ago, a huge ceramic manufacturing plant on the other side of the road went out of business – and SKS took the opportunity to quadruple in size, modifying the dirty old production halls into a brandnew logistics center which is now up and running, also setting the stage for the party location. What makes the difference at SKS is the highly skilled and experienced team, most of which ride Harley-Davidson's themself and take great care to tansport the motorcycles without even scratching anything. 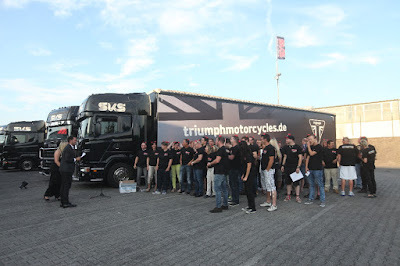 Most SKS "Truckers" are on the task for years, even decades, and if there is a single spot left, their own bike will be on the truck to be more mobile to help the clients. 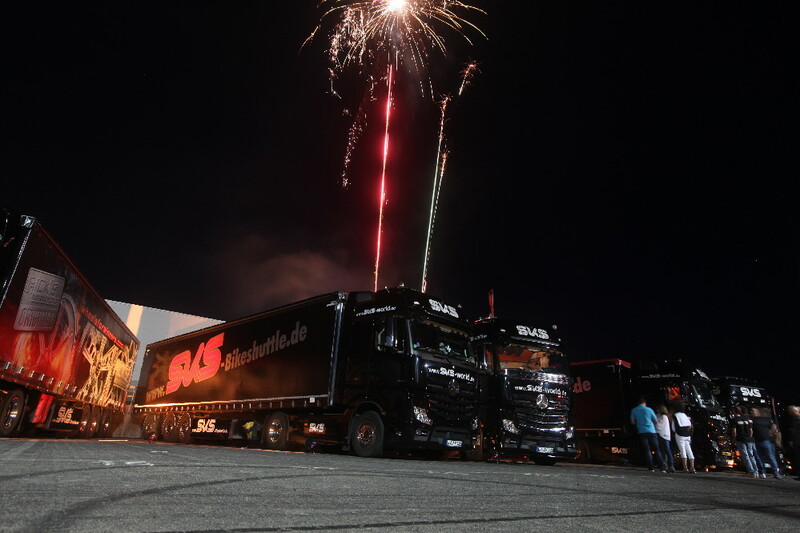 When the team surprised the founders with a new "20th Anniversary" Truck rolling in for the 20th anniversary party, they also sang in chorus "SKS all over the World" to the chords of Status Quo – is there a better "Team spirit" possible?